Phoebe Legere, who will headline a show on August 4 at The Steel City Coffee House (203 Bridge Street, Phoenixville, 610-933-4043, www.steelcitycoffeehouse.com), is a talented singer, songwriter, instrumentalist — a multi-talented artist who is like no other. “The musical genre is folk/Americana,” said Legere, during a phone interview last week from her home in New York City’s East Village. Video link for Phoebe Legere – https://youtu.be/Xo2q62GU3yM. The show at Steel City Coffee House, which has Radka Kasparcova as the opener, will start at 8 p.m. Tickets are $12. The other show this weekend at Steel City will feature Novyy Stil’ and Nikia Camp on August 5. People might at times ask that question about Fastball. Fueled by the chart-topping hit “The Way,” the Top 5 song “Out Of My Head” and the Top 20 favorite “Fire Escape,” the album soared to platinum-plus sales in just six months. Fastball scored a pair of coveted Grammy nominations, an MTV Music Award nomination and regular rotation on the late-night talk show circuit (Conan, Letterman and Leno to name a few). Fastball never really went away — but its recorded output did slow down. The trio – Tony Scalzo (vocals, bass, keyboards, guitar), Miles Zuniga (vocals, guitar), Joey Shuffield (drums, percussion) — released “The Harsh Light of Day” in 2000 and followed with “Keep Your Wig On” in 2004 and “Little White Lies” in 2009. 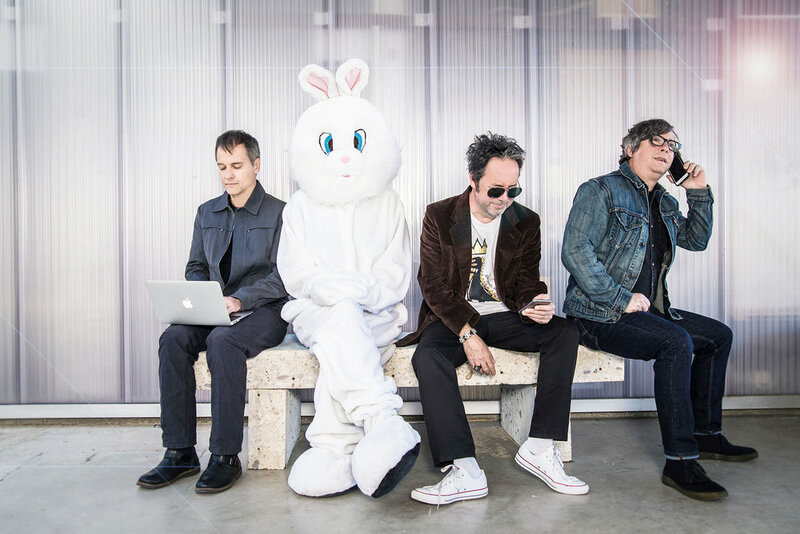 Now, after an eight-year gap, Fastball released its sixth album, “Step Into Light,” earlier this summer and immediately set out on an extensive North American tour with Everclear. The new album, which was released through the band’s own 33 1/3 label, is the first Fastball full-length to get a vinyl LP release. 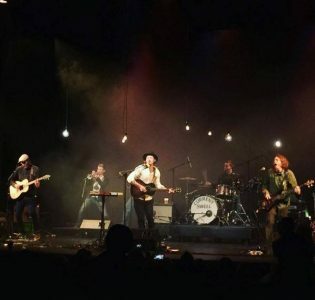 The band is now out on its own headlining tour – a tour that stops at the Ardmore Music Hall (23 East Lancaster Avenue, Ardmore, 610-649-8389, www.ardmoremusic.com) on August 3. “We’ve been together with the same lineup for 23 years and we’ve never really stopped,” said Scalzo, during a phone interview this week from a tour stop in Atlanta, Georgia. “In every one of those years, we’ve done something. The new album, which is distributed through Red Eye, is a giant step for us. “The album came out May 19. We recorded it a couple years ago in Austin at the Bubble Recording Studio. “We were trying to get in and out of the studio because a package tour fell through. So, we decided to gather eggs together and see what we wanted to do. “We were pretty pissed about the tour cancellation. So, we got a new manager and a better booking agent. With our old booker, we had been doing weird gigs like metal bars in the middle of nowhere. “So, we started forming a team with a new booker. We had to decide how to put the album out. Our previous two albums had done nothing because of poor promotion. “So, we went and did a Pledge Music drive. It was more successful that we expected and hit double the goal. We went to a publicist and paid him. It’s going great – I’m talking to you. “We’ve also been getting songs on the radio and people have been responding. It’s all been good enough to get people in front of us when we play. Video link for Fastball – https://youtu.be/2nv7TRGp5gk. The show at the Ardmore Music Hall, which has Rad & Kell as the opener, will start at 8 p.m. Tickets are $25. Other upcoming shows at Ardmore are Donavon Frankenreiter with special guest Matt Grundy on August 4, Freeway & Friends on August 5, Jeff Washington Band with Swamp Ash on August 6 and Junior Brown with special guest Transistor Rodeo on August 9. 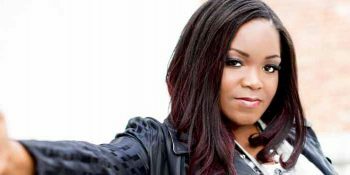 Several new things – very good things – have happened in Shemekia Copeland’s life since the celebrated blues vocalist played the area last summer. In December, she gave birth to a son – Johnny Lee Copeland. Earlier this week, she Living Blues magazine announced the winners for the 2017 Living Blues Critics’ and Readers’ Awards and Copeland was named Blues Artist of The Year (Female). “This is the second year in a row that I’ve won that award,” said Copeland, during a phone interview Tuesday from her home in Chicago. Copeland, who is headlining a show on August 3 at the Sellersville Theater (24 West Temple Avenue, Sellersville, 215-257-5808, www.st94.com), curtailed her touring schedule a little because of her pregnancy. “I cut back on my shows but I was still doing gigs up to six days before he came,” said Copeland. “I had a show on December 18 and Johnny Lee was born on Christmas Eve. Copeland has been touring in support of her most recent album “Outskirts of Love,” which was released in September 2015 on Alligator Records. Her previous album was “33 1/3” in 2012. “I feel like I’ve had this album made forever,” said Copeland. “I started making it two years ago. We did it in pieces. I like working on it, stopping and reflecting and then going back. “The album is doing well. The music has been received very well — especially in Europe. I’ve been going to Europe for years. I don’t have a huge presence there — but it’s getting better. Copeland was born in Harlem, New York on April 10, 1979, and came to her singing career naturally. Her bluesman father (the late Johnny Clyde Copeland) recognized his daughter’s talent early on. He always encouraged her to sing at home and even brought her on stage to sing at Harlem’s famed Cotton Club when she was just eight. At that time Copeland’s embarrassment outweighed her desire to sing. “With the new album, the choice of songs took forever,” said Copeland. “Songs are so important. If you’re putting something out in the universe, you have to do it right. “I only pick the amount of songs that are going to be on the record. If I pick it, then it’s going to be on the record. I look at what I want the record to say. “On my last three albums, I’ve started doing some songs that are a little more political— topics like religious hypocrisy and domestic abuse. Copeland plans on working the new album for a while. “I’ve not gone back in the studio at all since I made the new record,” said Copeland. “I’m not a serial recorder. “What I put out in the universe is really important to me. When I make an album, I want to have something to say. People who make an album every year usually have nothing to say. “I already have a big repertoire of songs to draw from for my live shows. And, I have a great band that’s been with me a long time. The show at Sellersville, which has Bex Marshall as the opening act, will start at 8 p.m. Tickets are $29.50 and $45. Other upcoming shows at the Sellersville Theater (24 West Temple Avenue, Sellersville, 215-257-5808, www.st94.com) are Craig Thatcher Band Pays Tribute To Jimi Hendrix on August 4, Trespass (Genesis Tribute) on August 5, Socks In The Frying Pan on August 6, Poor Man’s Whiskey on August 8 and Blaze Bayley (of Iron Maiden) and Psychoprism on August 9. When West Coast surfing sites are mentioned, most people think of areas like Zuma, Venice or Malibu. Current Swell, which is headlining a show at Boot and Saddle (1131 South Broad Street, Philadelphia, 215-639-4528, www.bootandsaddlephilly.com) on August 3, took its name from a surfing term. The band members are associated with the surfing and skate park scene in their hometown along the Pacific Ocean. But, it’s not a California beach town, it’s Victoria in British Columbia Canada. Current Swell’s third Nettwerk Records release, “When To Talk And When To Listen,” has allowed the band to make more of an inroad in America – a daunting task for most Canadian acts – and a tour that stretches from Vermont to Texas to Minnesota. “We just started a new leg of the tour today,” said Land, during a phone interview last week from a tour stop in Burlington, Vermont. “We’re coming at it from a much smaller scene. In Vancouver, we can draw over 1,000 fans to a show. In Seattle, 250 is a good number. Grammy-winning producer Jacquire King (Kings of Leon, Tom Waits, Norah Jones, Cold War Kids, Of Monsters and Men, James Bay) produced the album over four weeks in two vastly different locales — Nashville and Vancouver. Nashville is where King lives and does most of his studio work. Vancouver is a ferry ride away from where Current Swell makes its home. Both cities have music at their core. “We made a list of four producers we’d like to work with,” said Lang. “We put out feelers to all these people and sent them demos. Jacquire wrote back the next day and said he liked the demos. So, we sent him songs. During the first night at Nashville’s famed Blackbird Studios, King cut short the sessions and told the band to come back when they had something worthwhile to say. Current Swell was talking loud and saying nothing. A blunt, band-only meeting quickly cured what ailed the band. They went back to their first-ever phone call with King months earlier, when they discovered he had an extensive list of questions and ideas for each song. The four friends returned the following day ready to create. “Jacquire’s production made our music more rock-focused, more pop-focused and to have good choruses,” said Lang. “He brought out the rock edge. That’s what he’s known for. Video link for Current Swell – https://youtu.be/PJ9UnScTQI8. The show at Boot & Saddle, which has La Capitaña as the opening act, will start at 8:30 p.m. Tickets are $12. Delaware is also a good destination this weekend for music fans — especially music fans who love the blues. 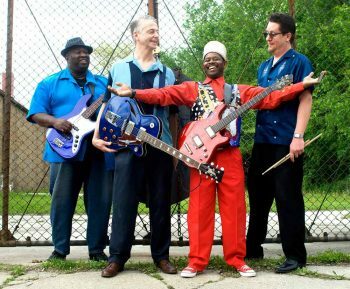 This weekend, it’s time once again for the annual Riverfront Blues Festival which is being held August 4-6 at Tubman-Garrett Waterfront Park (Water and South French streets, Wilmington, Delaware, 302-576-2139, http://riverfrontbluesfestde.com). As always, at least one of the headline acts is an Alligator Records recording artist. This year, it’s Lil’ Ed & The Blues Imperials, who are performing on August 4. It’s been almost 30 years since Lil’ Ed & The Blues Imperials released their debut album “Roughhousin’” on Alligator Records. The band’s most recent album is “The Big Sound Of Lil’ Ed & The Blues Imperials” in 2016. All of Li’l Ed’s records over the last three decades have been on Alligator Records, a Chicago-based label specializing in blues music. “I went to their studio and did 15 songs. Then, we kept going. We cut 32 songs in a couple hours. That was where all the songs from ‘Roughhousin’ came from. “I kind of write as I go because I write about things that I see or little things people say,” said Williams. “A good example is my song ‘Icicles in My Meatloaf.’ My wife had made meatloaf — some of it was for dinner and she froze the rest for later. “When she defrosted it and served it, it wasn’t heated up all the way. My mother-in-law started to eat it, came across a part that was still frozen and said — there’s an icicle in my meatloaf. “You get that kind of vibe going. I look around me. I try to focus on what’s going on around me in the world — all the things that happen in everyday living in all our lives. That’s why people relate to my songs. In 2013, the band was awarded the Living Blues Critics’ and Readers’ Awards for Best Live Performer. The band won this same distinction in the 2012 and 2011 Living Blues Critics’ Poll. The group won the coveted 2009 Blues Music Award for Band Of The Year, the same honor they received in 2007. In his live shows, Williams presents fans with an overview of his career — and a heavy dose of the blues. Video link for Li’l Ed & The Blues Imperials — https://www.youtube.com/watch?feature=player_embedded&v=fU4aw907pT4&list=PL9A2DC920F3A6D813. Li’l Ed & The Blues Imperials will perform on August 4. Tickets are $35 each day or $90 for a festival three-day pass. 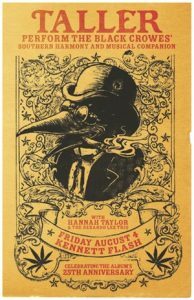 Kennett Flash (102 Sycamore Alley, Kennett Square, 484-732-8295, http://www.kennettflash.org) will present “Taller – Celebrating the 25th Anniversary of the Black Crowes album Southern Harmony and the Musical Companion” along with Hannah Taylor & the Rekardo Lee Trio on August 4, “Crowded Streets – A Tribute to Dave Matthews Band” on August 5 and “Open Mic with guest host Bill Currier” on August 6. Chaplin’s (66 North Main Street, Spring City, 610-792-4110, http://chaplinslive.com) will have Frank DiMino with Mantis and Dog Tag Money on August 4 and Snowed-In with The Climaxers on August 5.